TIRED OF THE MESS FROM SALT AND SNOW TRACKED INTO YOUR HOME? 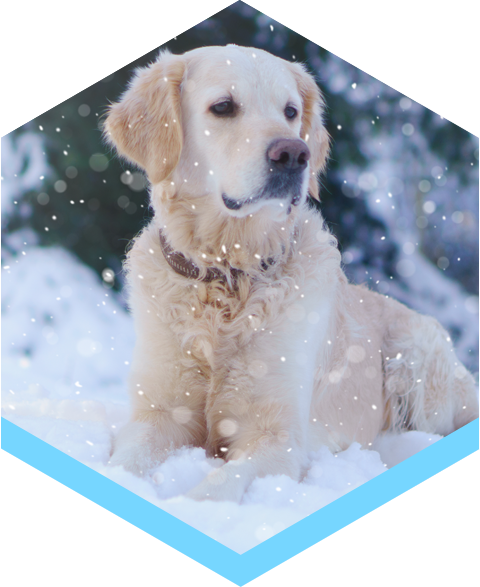 Saltnets provides a clean, safe & pet-friendly solution for melting snow & ice. Traditional methods for ice and snow removal require labor and/or overuse of corrosive melting agents. This process should be quicker, cleaner, and more effective. Saltnets® is providing a simple and effective solution to a common recurring problem. Our patented technology allows for clean and efficient prevention of snow and ice at a reasonable cost. SaltNets® mats keep the melting agent contained; preventing it from getting stuck in your pets' paws. 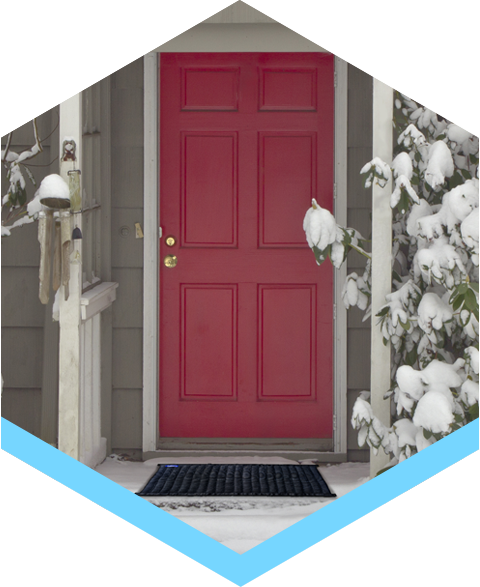 SaltNets® mats prevent the melting agent from being tracked into your home. Eliminating the mess and damage to your floors. Business owners can use Saltnets® to prevent tracking of melting agents into their stores, helping to keep their entrances clean and free of salt debris. Our decorative rubber base mats will hold your Saltnets® during the winter months and accept standard 16" x 28" inserts in the offseason. SaltNets® feature a mixture of sodium, calcium and magnesium chlorides that melts snow and ice at -15°F and above, providing a controlled release of the melting agent to prolong its effectiveness. The durable nylon tubes control the even distribution of the melting agent, improving immediate traction while melting the existing snow and ice and preventing further accumulation. This system limits the use of melting agents, releasing only the minimum amount needed for each application. Decorative casings are available to hold the replaceable SaltNets®, common sizing allows for use with existing interchangeable mat systems. Multiple SaltNets® can also be used together to keep longer walkways free of ice and snow. Connector clips allow you to attach multiple Saltnets® together for longer walkways. Immediately after placement SaltNets® settle into the ice/snow and begin the controlled release of the melting agent. The melting effects can be seen and the surface under the mat is free of ice and snow. SaltNets® will continue working to prevent further ice and snow buildup only as needed, preventing excessive and unnecessary distribution of the melting agent. Thank you for contacting Saltnets!